Are you tired of wasting your time, money and effort in trying to understand the smaller nuances of import from China to Czech process that is an indispensible part of your supply chain business? If so; TS Freight offers you customized cargo shipping to Czech services which are not only highly professional and dependable, but also very economical and cost effective. When you hire our services, you can be rest assured that all your shipping to Czech needs will be handled promptly under a single roof. 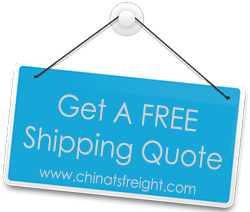 We offer freight shipping from China to Czech by both sea and air, and give our customers a variety of customized packages that are designed to cater to their business needs in the most suitable way. We will schedule for pick up in China covering all major ports like Tianjin, Dalian, Shenzhen, Guangzhou, Shanghai, Xiamen, Ningbo, Hangzhou, Hong Kong etc and more. Once your cargo has been collected and packed, we undertake the responsibility of documentation, custom clearance and loading and will ship goods to all the major ports in Czech including Prague, Usti nad Labem, Decin, Zlin, Olomouc,Plzen, Ostrava, Pardubice, Brno, and Havirov and so on. Once your cargo reaches its destination, we will handle all unloading and quality checks and then ensure that your cargo is delivered to its destination in the fastest way possible. Our services include both general and expedited services, catering to your business’s needs in any way we can. If you have any special needs, we will be happy to cater to them by customizing our services to handle your time sensitive or budget restricted requests in any way possible.